Benjamin Hoguet (Racontr) published this originally on medium.com, it has been reposted with permission. This article belongs to a larger collection of resources about interactive and transmedia storytelling. Sign up here to receive one new article a week! Each day there are more of us interactive storytellers. Because we enjoy the freedom of creating with fewer boundaries, because we could not take another “lean-back” century or because it is just that thing to explore right now. But it would be a great loss to engage in the craft of telling interactive stories without knowing where we come from. So there is, a bit of background (and there is so much more of it out there, this is definitely not meant as an exhaustive list!). The reason we suddenly need such a word [as interactivity] is that during this century we have for the first time been dominated by non-interactive forms of entertainment: cinema, radio, recorded music and television. Before they came along all entertainment was interactive: theatre, music sport — the performers and audience were together, and even a respectfully silent audience exerted a powerful shaping presence on the unfolding of whatever drama they were there for. Adams’ point is that the 20th century was the exception in human cultural history. New technologies and the drastic shift to the consumption economy made passive media into mass-media. Audiences turned into listeners and viewers. Interactive forms of entertainment such as theater, concerts, public performances or sports were still there but their reach was limited and actually most people enjoyed them through television and radio. People might scream on front of their TV set, but the “shaping presence” mentioned by Adams would not be the same. These timeless forms of entertainment will never disappear and will keep being enjoyed by those looking for moments of “shaping” human-interaction. And today, as passive audiences are increasingly dispersed, storytellers are looking for more meaningful ways to engage with others and “real-life” experiences are as exciting and innovative as ever. 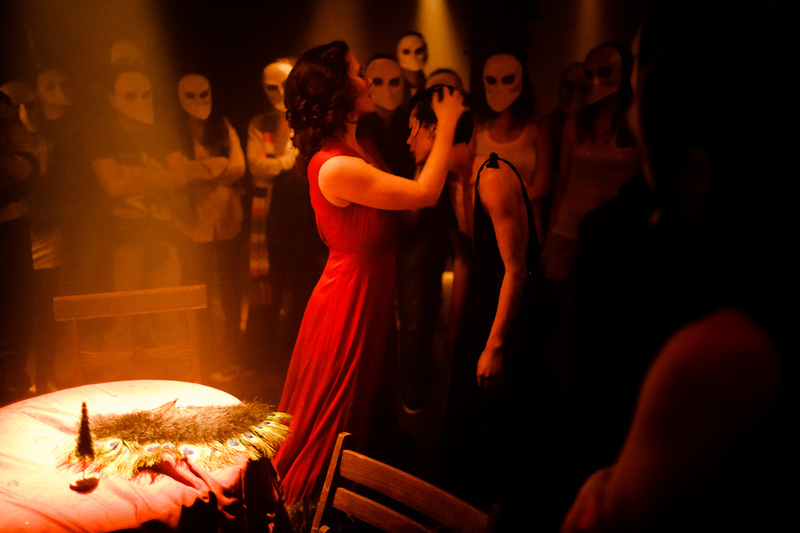 Sleep No More is an immersive and interactive theatre piece adapted from Macbeth. In the imaginary McKittrick Hotel, we wander freely and silently observe actors centimeters from us. Sleep No More has pushed the theater audience way beyond a “shaping presence” as it is a highly interactive performance. Everything in the scenery can be touched — as if it was a clue in deciphering the mystery that is this macabre setting — and the experience is also non-linear since there is no “right” narrative to follow. This can be frustrating sometimes as many scenes are played simultaneously and you can’t see it all — but it is part of the experience. Linearity and control over the narrative are the toughest things to give up for any storyteller. It is a challenge for all interactive creatives and Sleep No More is a perfect example of what can be achieved when you let go. Besides interactive forms of entertainment that never died, our cultural history as also seen many attempt in transforming non-interactive media into something more. Cinema in particular was an great experimentation field. 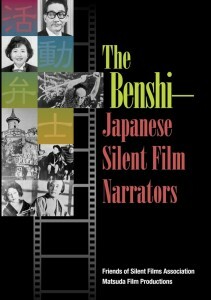 And as it turns out, some silent movies were interactive as live narrators would tell part of the story to the audience. 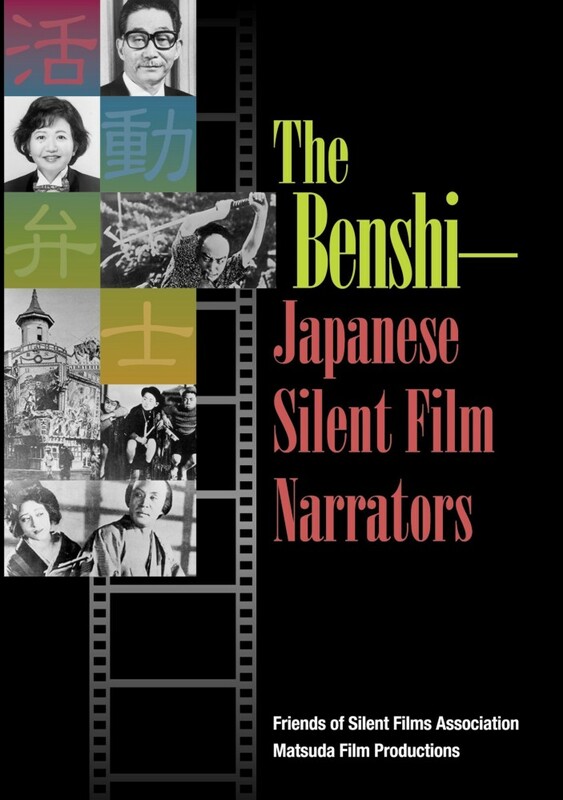 This was very popular in Japan where narrators — called Benshi — would read intertitles to a predominantly illiterate audience. Some remain in activity today, especially for showings of old silent movies or more conceptual pieces of interactive cinema. In most cases, when trying to make linear content interactive, authors can only create the illusion of choice. Take the movie Timecode for instance. Four 90-minutes long takes are shown simultaneously on the screen so you can “choose who you want to watch”, as the movie’s pitch suggested. But actually the soundtrack always focuses on the most important scene at any given time so you can look away sure, but most of the time, you’ll only be looking in one direction. Still the movie is very effective and impressive and the illusion of choice is barely noticeable. Though this interactive temptation can not truly be achieved because of the medium technical limitations. Others have managed to go beyond said limitations and make cinema truly interactive and non-linear. The earliest example seems to be the Kinoautomat experience in 1967. 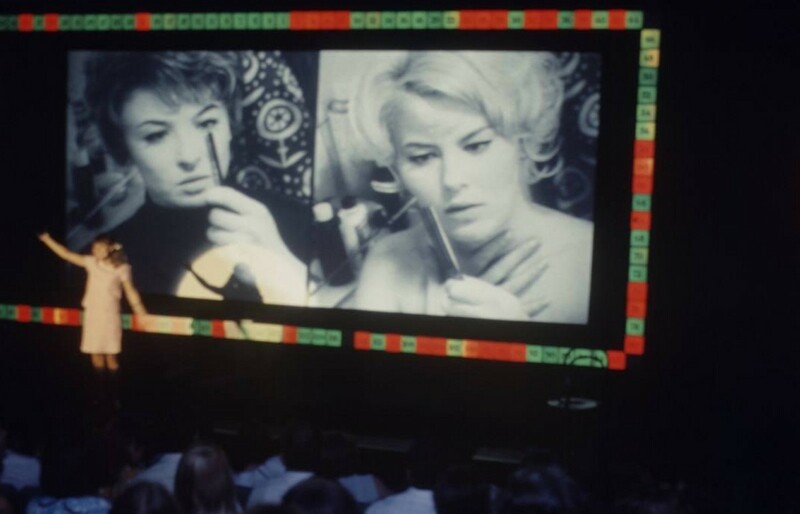 Nine times during the film, the film paused and the audience was asked to make decisions for the characters. This experience successfully mixed cinema with interactivity though once again, the illusion was a big part of it: there was actually only two different stories (plots converged before every decision points) and when those two versions we broadcasted simultaneously on two different TV channels in their linear format, people were outraged and felt cheated. CYOD is an amazing piece of interactive theatre combining all the above: a live narrator, audience taking one of the 1500+ paths by making key decisions for the main character, and the narrative structure of the famous Choose Your Own Adventure books. Choose Your Own Documentary transcends the top-down relationship between filmmakers and audiences as the main character of the film is also the live narrator in front of you. Every decision you make then feels life changing and empathy grows with every step you take. Empathy is the whole reason storytellers go interactive: to build a connexion with their audience, to open a two-way channel for sharing emotions and stories. And in that way, CYOD is a paragon of true interactivity. And then there was the Internets, well the computer let’s say. All the innovators that attempted deconstructing linearity finally had their own medium. Then begun the great battle between humans and machines. Indeed if what you are seeking is to interact with humans, how can this intention be preserved while delivering your experience through an interface? This part of history challenges the very meaning of interactivity. Such a versatile word. It can mean interacting with a program, an operating system, a webpage, a game, so basically your one-way relationship to a machine — the only response you’re getting being programed in advance. 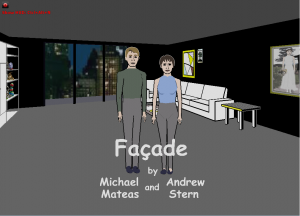 But interactivity can also designate the relationship between two or more humans through a medium. The interface then becomes an open multi-directional communication platform. And here is the good thing about interactive storytelling: it is embracing both. Throughout the whole computing era, interfaces and programs have been used for telling stories. This was never really there first purpose but storytellers have this habit in finding ways to insinuate meaning and narratives pretty much everywhere. Whether is entailed developing a custom software, using CD-Roms or building webpages and apps, not a single interface has been left out by storytellers. Clearly web and app-based experiences have been more successful, for many reasons: the availability of coding resources and dedicated tools, greater audiences, better image and video management and publishing platform, etc. But there are exception to every rule. 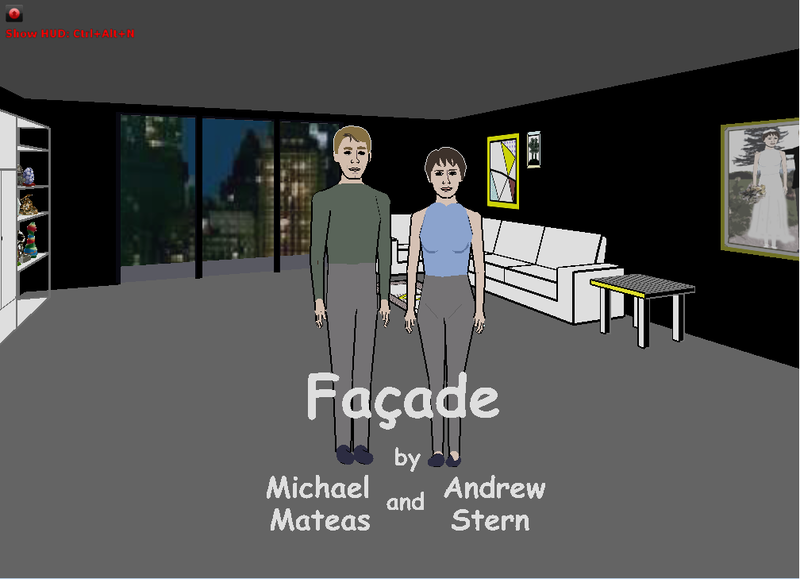 Façade (2006), published as a CD-Rom program, has been widely recognized as a turning point in interactive storytelling. The artwork might not be the best but the complexity of the narrative and the realistic reproduction of human interaction through a complexe artificial intelligence made it a work of art that has been a reference for many. Interfaces have to be programed, thus being effective in reflecting the author’s point of view. Interfaces enables storytellers to offer choice and interaction while keeping control of the possible narratives. The value proposition of this kind of interactive storytelling is to offer an illusion of choice rather than an “actual” choice. And this is not said in a pejorative way: some stories need this controlled environment to make sense, to express the author’s views. Gaza/Sderot (Screencast) from dav on Vimeo. This is why it is most common for interactive documentaries and fiction to rely on interfaces. On that matter, one of the most frequent study case is the i-doc Gaza/Sderot (2008), portraying residents on both sides of the Israel / Palestine border. In Gaza/Sderot, the interface is a reflection of the story. A central navigation menu divides the screen. On the left, Palestine. On the Right Israël. The story did not need more that this. If social network were a bigger thing then, some discussion features might have been added to the mix. But as a storyteller, you have to ask: would the experience have been better with it? 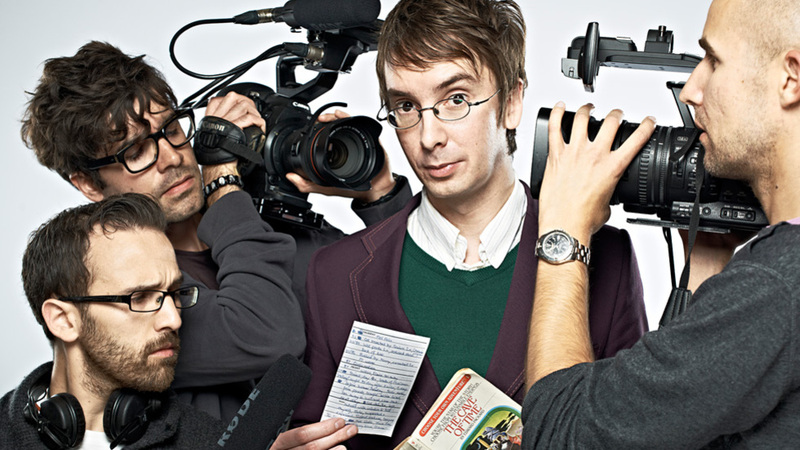 With the rise of social networking and global connectivity, storytellers have been freed of the contraints of a top-down relationship with their audience. They can now engage in a true dialogue with their users, making them react, participate or even contribute to the making of a story. 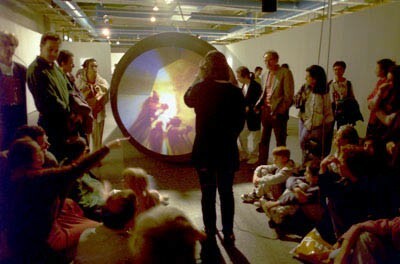 Early examples of this storytelling temptation can be found in interactive art installations, one of the most famous being the Tunnel Under The Atlantic by Maurice Benayoun (1995). Benayoun, a new media pioneer for years, built this “tele-presence” device linking two museums in Paris and Montreal as a way to explore the limits of our communication systems. A decade after that, our communication devices started getting more mobile and powerful while social networks grew tremendously, opening new possibilities for storytelling. Involving the audience in your project means you need to attract and build a community of people passionate about your story. Some storytellers will use existing platforms such as social networks or hosting services such as YouTube to do so. Others will build entirely new platforms dedicated to their project. The later is definitely more risky as it takes great efforts to make people gather somewhere else that where they already are. But amazing achievements have proven that it is absolutely not impossible. Question Bridge: Black Males – Project Trailer from Question Bridge on Vimeo. Recently launched after many years of development, the Question Bridge experience is a very promising one. After a successful crowd funding campaign and tireless efforts from the author Hank Willis, Question Bridge gathers black American males asking questions to one another in an attempt to define what make the black male identity today. Those testimonies could have been posted on YouTube or Facebook and might have reached more potential users but building such a platform appears here as the only way of keeping an strong editorial control over this user-generated content. If this quick and non-exhaustive history of interactive storytelling has shown anything, it is that storytellers will find a way. With every new devices or platform, stories will be told. But the tech world does not necessarily match the storytelling world. Some of these will provide great support for amazing stories in the future and some won’t. When it comes to stories, history repeating only means that there is not foreseeable rules.